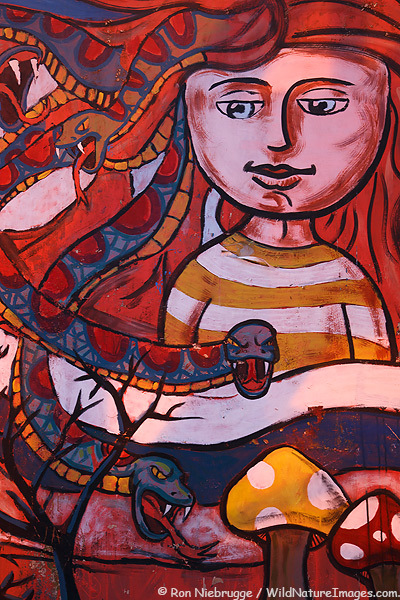 A wall mural, Ushuaia, Argentina. 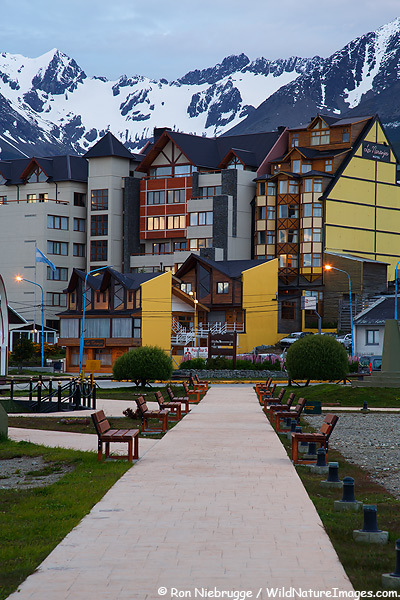 Friends who had been to Ushuaia had told me it reminded them of my hometown of Seward, Alaska. Sure enough, it did for me too. A wet, snowy tourist town on the ocean, surrounded by mountains and National Park lands. As the plane flew into the town’s airport, I was surprised at how even the geology seemed very similar – a far change from Buenos Aires, a town we had just flown out of 3 hours earlier. At some 70,000 or more people, Ushuaia is far larger then Seward, but I did find myself feeling somewhat at home there despite the language and cultural differences. Ushuaia is often billed as the Southernmost town in the world, although there is a small community nearby in Chile that disputes that claim for good reason – since they are further South. One of the things that did surprise me, despite being about as far South as you can get in this World – further South then any place in South Africa, New Zealand or Australia, they really aren’t that far South. Seward Alaska for example is far further North of the equator then Ushuaia is South. 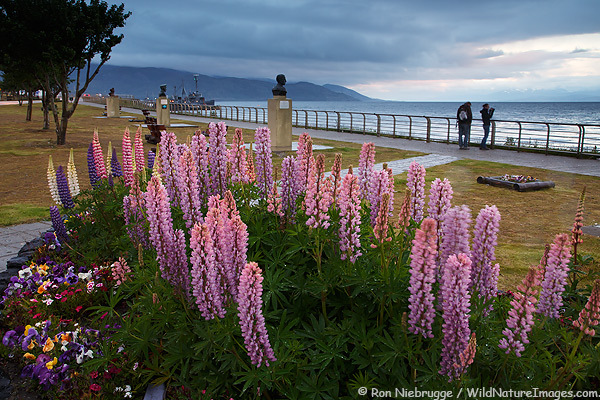 Ushuaia’s latitude places it a little South of the Southernmost city in Alaska, Ketchikan. So we didn’t have the crazy long days of sunlight like we do in the summer in Alaska, or like we would soon find in Antarctica. Ushuaia is the typical starting point of most boat tours to Antarctica including ours. There is a steady supply of interesting tour vessels into town – again, much like Seward, although many are icebreakers nothing like we typically see here.